For a long time I have been meditating on how I can serve you better with my newsletters. I want to bring more light on mantra and sound current in general from the vast experience and knowledge I have. 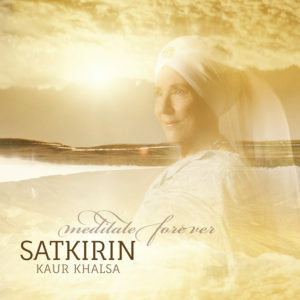 And then I thought of “Your Mantra Tool Kit” – in-depth series on mantra and shabad starting from A to Z. "Whatever the stars want, whatever the karma is, whatever the destiny is, whatever wrong is written in the destiny which must be endured: one prayer can change it all. This is why psychics are no good.. This is why astrology, in spite of being a mathematical science, is no good. “Guru’s ward” When your mind is tapped into the Guru and Guru’s words; then you are a ward of the Guru. God becomes your shield. Is there any miracle other than your prayer or your piety? Do you feel you have an insurmountable problem? Do you need help overcoming adversity? 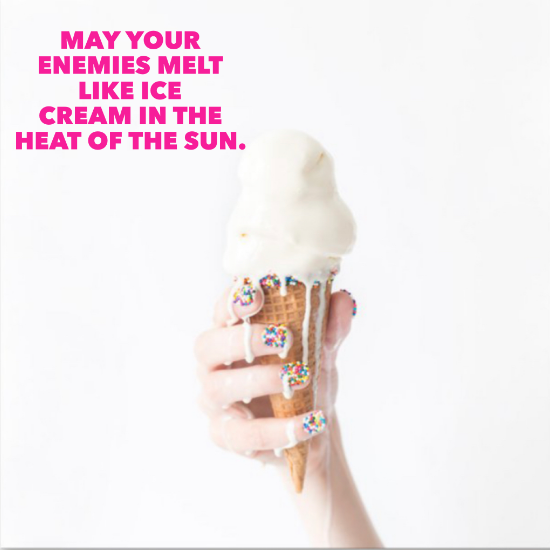 AAP SA- HA-EE HO-AA is a Shabad of the Guru which can cause your enemy to melt as ice cream in the heat of the sun. 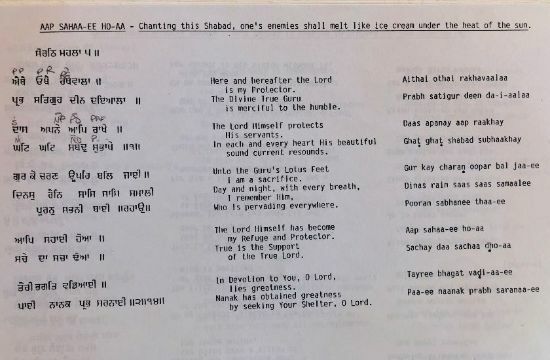 Recite this shabad in the Gurmukhi language eleven times a day to experience the power of it. Sing song it prayerfully for a minimum of 40 days. Enjoy and understand the meaning of the translation.